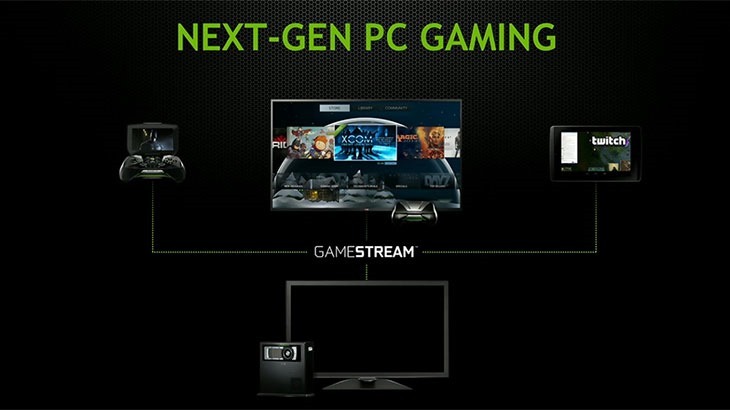 Nvidia making its own PC streaming device? Nvidia released its own handheld gaming device, The Shield, not too long ago, an android-powered micro-console with its own screen. It has largely failed to catch on – even though we’ve always suspected that nobody really needed or wanted the thing. It’s most intriguing feature, for me anyway, is its ability to stream PC games to the console itself, or a connected TV – mimicking the Wii U’s Gamepad or PlayStation Vita remote play. Now, according to the BBC, Nvidia is making a dedicated bit of hardware just for that purpose. It appears to be an Android microconsole in itself, that is able to piggyback on the GPU installed in your desktop. The BBC says the new peripheral will be equipped with an HDMI out to connect to your TV, and will ship with an optional controller as an accessory. According to The Beeb, the set-top box will be able to play Android games thanks to the Tegra K1 chipset that powers it. While everybody seems to be jumping on the microconsole bandwagon, one from Nvidia that is purpose built for streaming games to a TV may actually catch on – depending on price, of course. Price is one of the reasons Shield is largely ignored. The other limiting factor? The fact that it requires a relatively high-end Nvidia card just to work – and the same is probably true of the new unit. “I think it’s fair to say that Shield sold reasonably poorly,” said Ed Barton, a games industry analyst at the consultancy Ovum, who has now seen the new device. Of course, the BBC could have its info a bit wrong and they could well be talking about the rumoured Nvidia tablet. I’ve been having endless hassles with AMD’s drivers of late – and I’d be happy to switch back to Nvidia with my next card, thanks to features like Shadowplay, hardware PhysX processing and all of those additional Gameworks benefits. Of course, many of you will likely tell me of your issues with Nvidia. That’s the nature of it though; ask ten people which GPU maker they favour and why, and you’ll get 10 different reasons.